A perfect mix of active recreation and relaxation await families that want to spend time together and enjoy our beautiful camp. Children will enjoy our fully-supervised morning day camp on land and on lake while adults take part in sports, arts, yoga, and more! Afternoons are filled with family fun, games, land and water sports and (if desired) lakeside relaxation. Parents can enjoy a massage, mountain biking or challenge our climbing tower and zip-line. The fun-packed day ends around the campfire with s’mores and song! 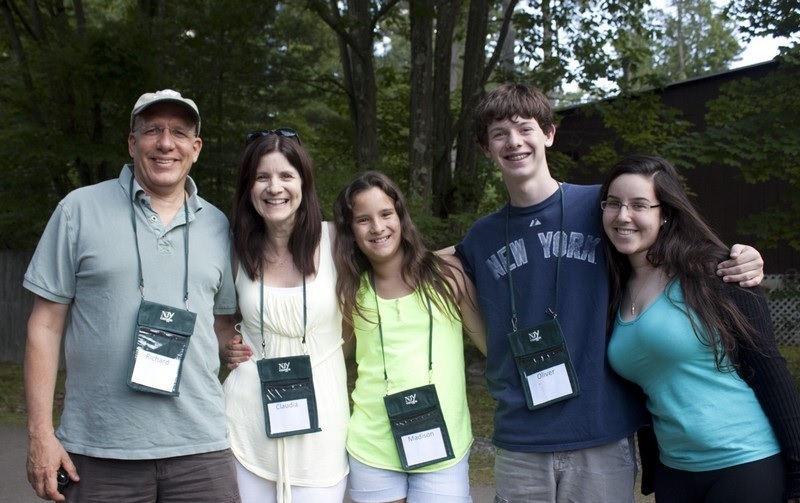 We offer specialized programs, including open to all Family Camp, Single Parent Family Camp, Gluten Free Family Camp, Forever Families Adoption Weekend, Shavuot Family Camp, Intergenerational Family Camp, as well as an Israeli Family Camp Weekend. Of course, non specialized weekends are available to all. Create lasting and unforgettable memories at any of our fantastic Family Camp Weekends!